The Sónar Festival, one of the most important ones in Barcelona as far as the music scene is concerned. Sónar is the International Festival of Advanced Music and New Media and will be held in Barcelona from the 13th to the 15th of June. Sónar is celebrating its 20th anniversary this year, and it has become an international reference and an essential meeting for the professionals in this industry and for the enthusiasts a a unique and pioneer festival, both in format and in content. The Sonar Festival has managed to combine entertainment with artistic experimentation, always with cutting-edge proposals and presenting new trends in electronic music. 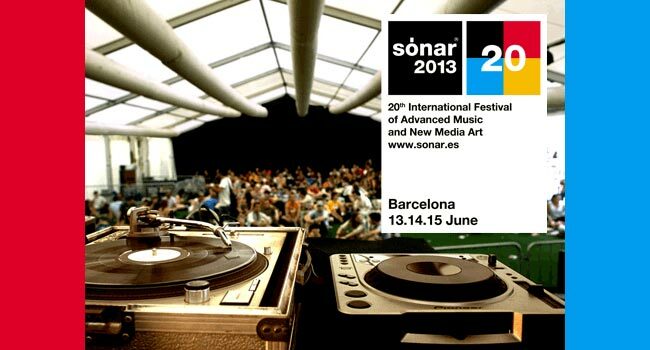 In addition to bringing to Barcelona the most established artists in the digital creation of new media, Sonar is a platform for new talent in the music and audiovisual production. Barcelona is filled each year with over 80,000 spectators from countries around the world who come to enjoy during these three days of all the activities offered by Sonar, even beyond concerts. The Festival also attracts more than 3,500 professionals. All information about the Sonar Festival in Barcelona can be found on their website, but do not forget that you can also follow their news through the social networks. And if you need accommodation in Barcelona, you can look at our availability calendar.